ABERDEEN, S.D. 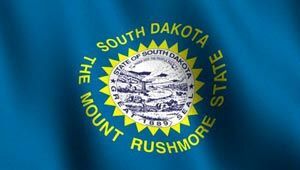 - Officials of a county in northern South Dakota are reconsidering a planned hog operation that property owners expressed concerns about earlier this year. The Aberdeen American News reports the Brown County Planning Commission will discuss two permit applications for a hog operation in the Bath area Tuesday. The commission took no action on the applications in March after residents voiced concern about its proximity to their properties. One application would adjust the setbacks for two new hog barns. The other is to make a special exception for a concentrated animal feeding operation. Wolff Family Genetics owner Jeff Wolff's hog operation produces show pigs for sale. He says neighbors must sign off on the special exception to allow the proposed 133-animal unit to be closer than ordinance setbacks allow.